For me and I’m sure many, many others it is the heart of the city. Women, men, boys, girls, visitors and locals can be found scattered throughout the park on any given day, rain or shine. 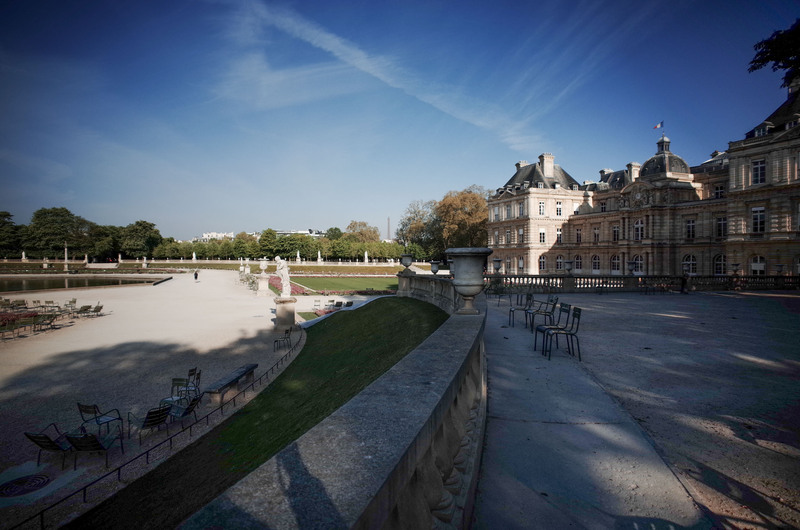 Luxembourg Palace sits in the background. This green space is one of three that are open for sitting. The park opens one of the spaces on rotating days so that none of them become overused. 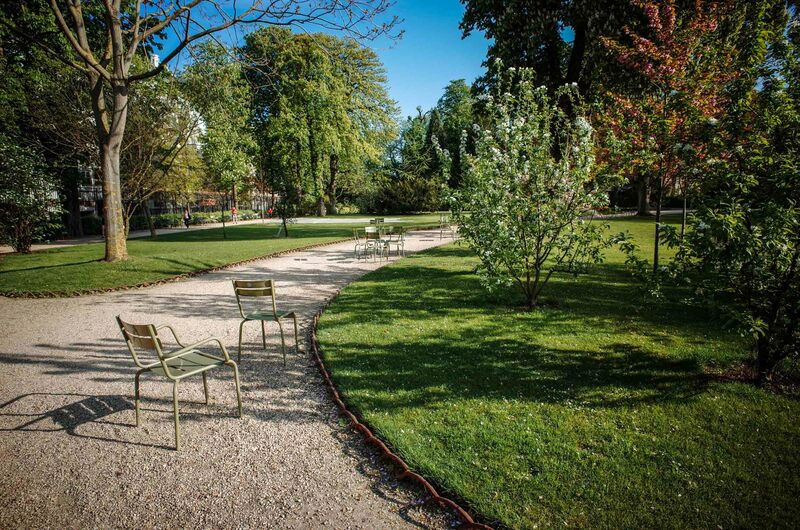 This beautiful 400 year old park serves as a front yard for Parisians and visitors from all over the world. My family and friends certainly know all about my strong attachment to this park. 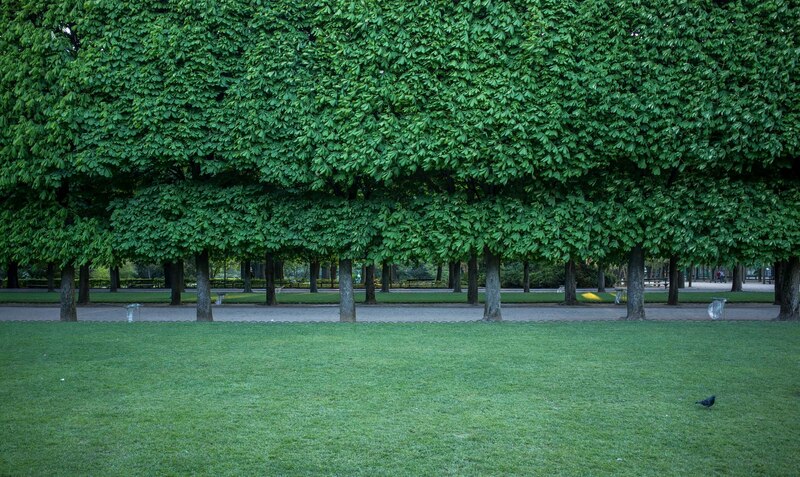 Before choosing any hotel on our visits the first question I ask is, “How far is it from the Park?” Technically the center of Paris, and all of France for that matter, is a marker in front of Notre Dame, but for me it’s Luxembourg Gardens. Fortunately we’ve never stayed more than a ten minute walk away. 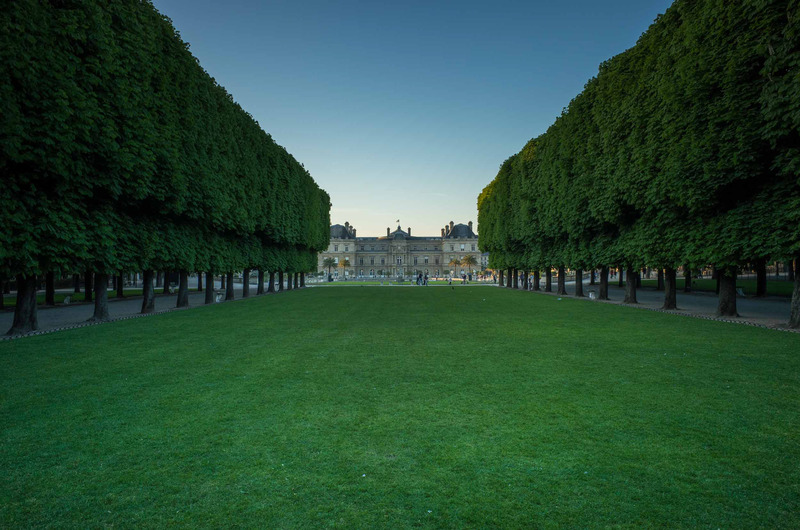 Many if not all of our days start with a walk through Luxembourg Gardens and often end with a walk through the park in the evening. Being in the park at dusk, closing time, is always a fun experience as well. As dusk approaches the police slowly meander throughout the grounds blowing their whistles signaling closing time, as they usher the crowds out of the many gates surrounding the park. I’ve spent time in the park in the middle of winter, on beautiful spring days and in the peak of summer and regardless of the time of year, it is the most wonderful place to be. Someone’s practicing their tai chi in the park. All of the walking paths are covered with an unmistakeable tan gravel. 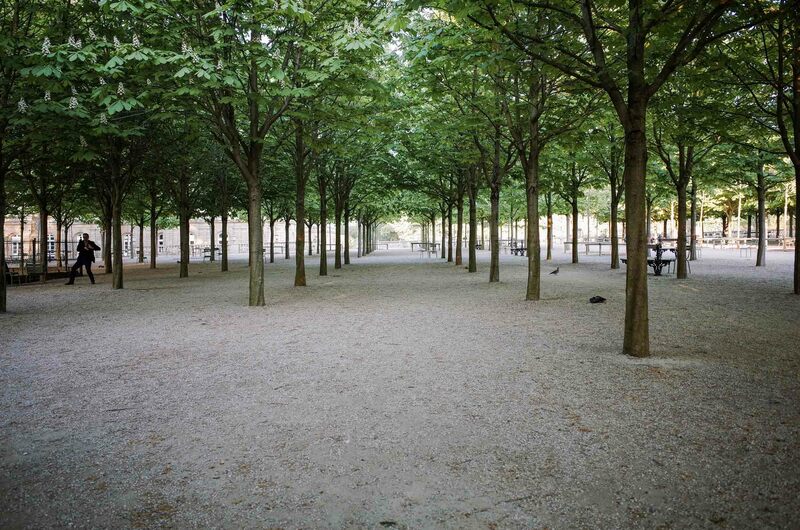 You can expect to see perfectly manicured and healthy trees throughout the park. The centerpiece of the park would be the palace and the large pool in front. In the summer months you’ll find kids pushing sailboats across the pond and racing to the other side to send it off in another direction. 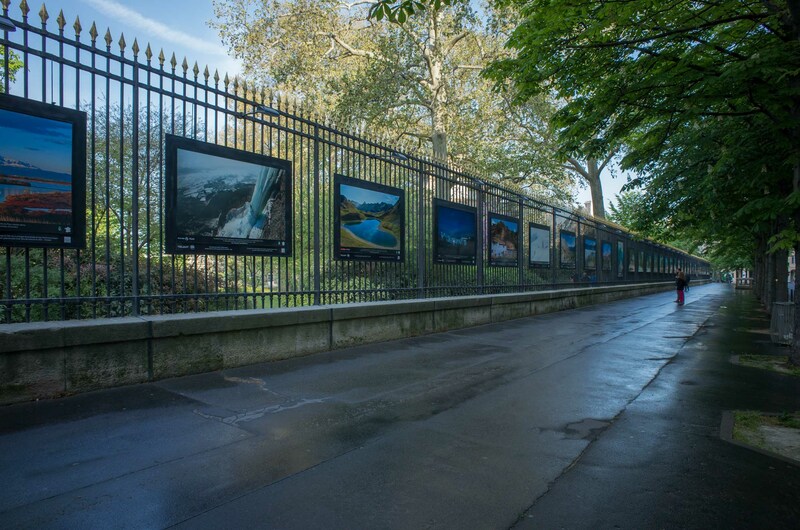 The border of the park works as a 24/7 gallery with large, beautifully printed and installed photographs. A view of the park from above. Love the edits here. Looks like you did them a little different than usual. Really rich and deep. Beautiful. Thanks. There’s a setting on the Ricoh called Positive Film that I’ve tweaked a little. I’ve really been liking the jpegs in this setting.